June 29, 2011  At the Upper Big Branch mine where 29 men died in April 2010, there was an internal set of reports about safety problems and another set kept for federal inspectors that didn't mention the hazards, federal officials say. 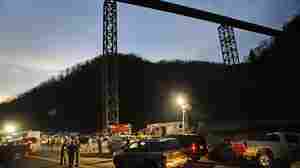 June 29, 2011  The Mine Safety and Health Administration releases preliminary findings in the federal investigation of the Upper Big Branch mine disaster in West Virginia Wednesday. Families of the victims were briefed privately Tuesday night. June 26, 2011  In Utah, the state where he was a popular governor, Huntsman trails Romney who has long and deep ties there as well through family connections and his success in pulling off the 2002 Winter Olympics. Romney has significant leads in the preference polling and fundraising in the state. June 24, 2011  The Labor Department says a mine in Kentucky warned mine workers of an upcoming federal inspection. Now it wants a federal court judge to prohibit the mine from issuing advance warnings. June 20, 2011  They are in communication with officials on the surface and are thought to be OK. Flooding in the area, however, is making it difficult for rescuers to get to them. June 16, 2011  Four years after nine coal miners and mine rescuers died underground in the Crandall Canyon mine in Utah, federal prosecutors say they're still not ready to file criminal charges or to conclude no charges are warranted. June 15, 2011  A West Virginia judge has ruled that shareholders of Massey Energy have enough evidence to proceed with a case that company executives and board members failed to adopt court-ordered safety procedures before the deadly explosion last year at Massey's Upper Big Branch coal mine. 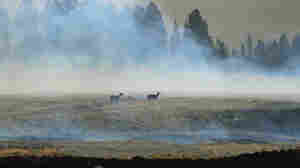 June 13, 2011  So far this year, more than 4.1 million acres have burned, according to the daily Incident Management Situation Report. That's more than 6,000 square miles and it's more acreage scorched than in all of last year and more at this time of year than in any year in the last decade. 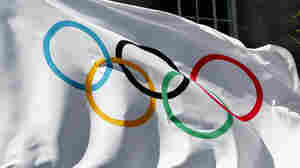 June 7, 2011  After tighter than usual negotiations, NBC inked a record deal for the exclusive American rights to the Olympics. June 6, 2011  Being that NBC has a new owner and Olympic producer, the bidding is a lot more competitive than it's been in years. June 6, 2011  Leah Carson pleaded guilty to a misdemeanor charge, after she provided information from government records to help identify 1,300 people believed to be undocumented immigrants. The information was used to make a "hit list." 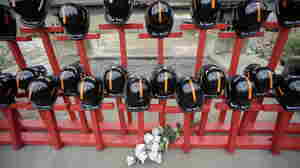 June 3, 2011  In its final report on the explosion that killed 29 mine workers, Massey Energy says it is not to blame, that the explosion was a "natural disaster." The company also takes to task an investigation by federal authorities.